Roofing tiles are generally durable and, can effectively withstand various forms of damage resulting from poor weather and environmental conditions. However, the longevity of roof tiles usually depends on the quality of tiles used, how they are set up and maintained. Roof tiles can experience damage from water intrusion, falling tree branches and objects. Roofing tiles also succumb to wear and tear after over time. If not fixed right, these problems could impact greater threats to the credibility of the property as well as safety of occupants and their belongings. 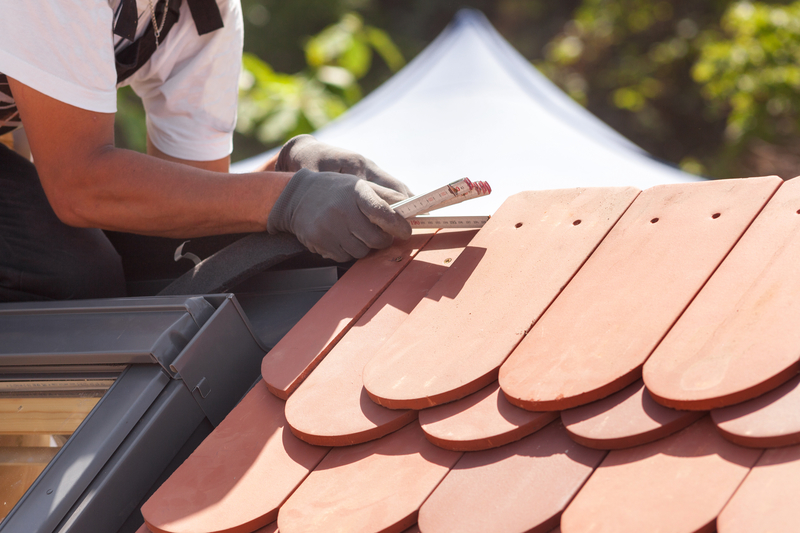 Contrary to what some people usually think, roof tile repair is quite complicated and, requires more than just basic DIY skills. That is why it is always recommended you hire a roofing expert to work on your roof tiles whenever there is any hitch. Waterproofing Singapore is the right partner that can provide reliable, affordable and lasting roof tile repair solutions. We have greater experience in roofing work and, will no doubt deliver the most suitable treatment to revive the appeal and functionality of your roof tiles. Roof tiles are made from various kinds of materials including, ceramic, stones, clay, glass and even metallic substances. Although the most common shape for roof tiles is square, there are also other varieties offered in complex shapes. In Singapore, most homes and commercial property use roof tiles made from slate, plastic, concrete and clay. Roofing tiles are also available in various colors. Despite the particular type, color or shape of your roof tiles, we can always provide the best repair solutions. Even with the best quality roof tiles, accidents can sometimes happen, leaving the tiles with cracks and other kinds of damage. Sometimes, the tiles may also become loose maybe as a result of damage on the materials used to attach them onto the roof. Cracks are the most common form of damage experienced in roof tiles, which causes roof leaks and ceiling leaks. Leaking roof tiles means whenever it rains, water will be seeping through into the ceiling and other parts of the building. This will not only lead to deterioration of the tiles but, the entire structure. At Waterproofing Singapore, we have a myriad technologies and tools for roof tile repair to ensure that all these risks are eliminated. Besides, our company also has trained roofing specialists with many years’ experience in conducting roof tile repair. In order to provide tailor made roof tile repair solutions, we always begin with a proper diagnosis of all the problems experienced. Even if the cracks and leaks may be clearly visible, there could be other deeply entrenched hitches. Thus, we will first perform a thorough inspection of the roof to ascertain its condition. After diagnosing all the problems, we will prepare an accurate estimate for all the procedures that will be performed. This will enable you to know exactly what to expect from us. By knowing all the requirements for the job in advance, you are able to properly plan for it at your convenience. While conducting the inspection, we are always keen on highlighting all roofing problems so they are properly fixed. Sometimes, the cracks or leaks on the tiles could be as a result of rusty nails or hitches in other components. In such situations, we will first address all those problems before working on the tiles. If the problems are ignored, there are higher chances they will occur again. This will not only put you through the stress of frequent roof repair but, also drain your pockets dry. But, why take the risks when we can provide the best solutions at once? There are several roof tile repair approaches that we can pursue depending on the type of damage, extent of impact and your needs. For roofing tiles with small cracks and dents, we will properly fill them up using safe and long lasting materials so they are never experienced. We can use plastic roofing cement to fill smaller cracks and holes on roof tiles. However, we can still find and use any other material that you may need for fixing small roof tile cracks. If the cracks are bigger beyond repair by plastic roofing cement, we can also make a replacement. In case your roof tiles are leaking, the problem is usually caused by the roof membrane spread below the tiles. Therefore, we will first fix the hitch on the membrane then safely put back the tiles. If the roof membrane cannot be repaired, we can also help with the replacement. In every case, we will only use the most suitable materials for conducting repairs and replacement. Due to our experience, we know the best materials and techniques for roof tile repair. But, we will always discuss with you the actions to be pursued when submitting the quotation. Although there are several forms of roof tile damage that we can fix, it should be noted that there are also some cases whereby the problem could be too big for repair. In such cases, we will recommend that the damaged tiles are replaced. And, we will help you in choosing the best roof tiles that complement the existing ones for a uniform appeal. Based on the affected areas and impact, we can either replace some or all of the roof tiles. Despite our expertise in roof tile repair, we are also very keen on affordability and reliability. Our goal is to make it much easier for all home and commercial property owners in Singapore to acquire the best roof tile solutions at their convenience. In fact, we have adequate personnel and equipment for the job to ensure that you can always get the required roof tile repair services on short notice anywhere in Singapore. Our company has the most competitive rates in the industry so you no longer spend more on roof tile repair services. With us, you can always get tailor made roof tile repair solutions for all your needs and budget. Besides roof tile repair, we also offer roof waterproofing services Singapore. Contact us today!